Classicgames.me provides information about a videogame. 2 links pointing to Classicgames.me were found. Individual words like Games, Classic and Mario are frequently used in text links from other websites. The most important links to the website are from 1cargames.com and Mariogames.be. 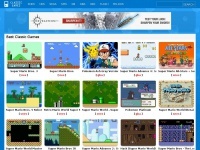 The homepage of Classicgames.me and the subsite /mario-games are most referenced by other websites. The table shows the most important links to Classicgames.me. The table is sorted in descending order by importance. The table shows websites of Classicgames.me, which are often linked by other websites and therefore they are classified as important content. The web server used by Classicgames.me is located in San Francisco, USA and is run by CloudFlare. This web server runs 5 other websites, their language is mostly english. The Classicgames.me websites were developed using the programming language PHP and served by a Nginx server. The website uses the latest markup standard HTML 5. The website does not specify details about the inclusion of its content in search engines. For this reason the content will be included by search engines. Play.vg - Free web ga­mes at Play.vg! 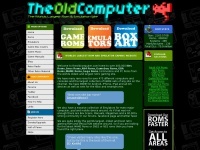 - Clas­sic ar­ca­de ga­mes ..
Mariogame.info - MarioGa­me.info Play Free HTML5 ma­rio ga­mes, we got the ..
Theoldcomputer.com - The Old Com­pu­ter|Roms|Emula­tors|NES Roms,SNES Roms,N64 ..